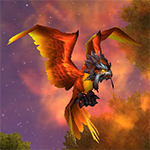 For this guide, it is necessary to install the following addons: Rematch, tdBattlePetScript, tdBattlePetScript Rematch. It is assumed that installation and setup are already done, and teams are set or easy to set by you. round 3: it tries to cast Dodge, but since it is on CD, it tries the next line. 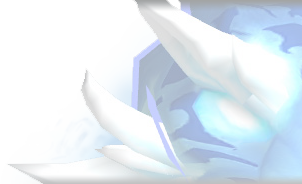 Since aura Nature's Ward is active, it goes to the next line and casts Alpha Strike, and so on. To summarize: each line is read sequentially until it finds a command that can be executed. The challenge here is writing scripts able to cast the spells according to the desired strategy. 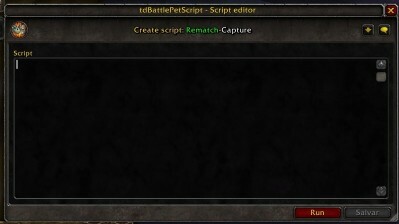 The easiest way to write a script is when you are doing a pet battle with a team previously saved on Rematch. 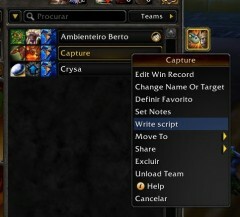 After starting the fight, open Rematch, right click over the corresponding team and select 'Write script'. It will open a new window, the 'Script editor'. During the battle, and while the script editor is active it is possible to write a script using the auto-complete feature. With the script editor opened and during a fight, start typing the desired action and it will soon show an dropdown list. After selecting an action (type Enter or click over the action) a new list with the abilities available to the active pet will be shown. Again, select the desired ability and if needed add the conditions when this action will be executed. Start by typing a bracket '[' followed by the first letter of the condition. Options are a target (self, enemy) or weather. Anyway, a new list will be shown, it there is any. 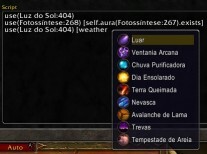 In case there are additional required parameters, as with auras, a new list will be shown. As before, select the appropriate option. Once you are familiar with the commands, you might just type the command followed by a dot to activate the dropdownlist with the available options. Remember to close the condition with a bracket: ']'. Writing and editing a script is not difficult itself since the addon makes it very easy with the dropdown lists. Good luck! Although the script helps a lot with its auto-complete feature, it won't be enough to write good scripts. It is a good idea to choose a fight and play with the script editor until you feel more confident with the commands and becomes able to write more complex scripts. 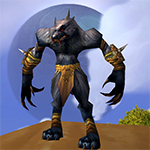 Below there will be some examples taken from pet battlers using specific strategies. 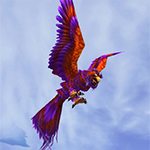 It is assumed that the team is loaded, the abilities are the ones mentioned on the strategy guide, and that the recommended pet is being used, not an equivalent. 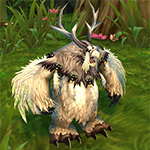 The Wailing Critters dungeon offers a nice opportunity to start improving your skills. Until you win the last fight the dungeon is repeatable and you might leave the dungeon, heal, and restart. There is also some random pets in the back row, but only a few families and abilities. The first 3 fights require only one pet with a fixed set of abilities, turning it into a nice place to practice your skills. The script might work for most of the fight where the same pet+abilities are being used, making it a very useful script. The link for the strategy is here. As it is written, the script will cast Emerald Presence every time it is available. 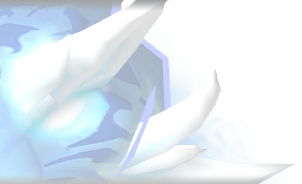 This ability does not have a CD, so we have to add a condition that prevents it from casting if the aura is already present. The only conditions available are the 'aura(Emerald Presence).exists' or 'aura(Emerald Presence).duration'. The condition that seems to fit the strategy better is the first one. After writing it, we would have use(Emerald Presence:597) [self(#1Emerald Proto-Whelp).aura(Emerald Presence).exists], which could be read as "cast Emerald Presence if my Emerald Proto-Whelp has Emerald Presence active". We want the opposite of that, so deny the condition by using a '!' 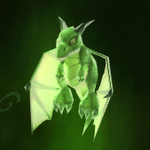 before the target: use(Emerald Presence:597) [!self(#1Emerald Proto-Whelp).aura(Emerald Presence).exists], translating into "cast Emerald Presence if my Emerald Proto-Whelp does NOT have Emerald Presence active". Yay! Next step: as of now, the script will cast Emerald Dream on CD, which might not be required, specially at the beginning of the fight. 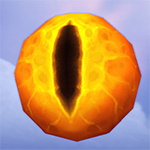 Let's add the condition that will cast the ability once your whelp is low on health. This last condition will cast Emerald Dream if your Whelp is below 50% health. Now, some remarks about the way the script is written. Do not use a slot number for abilities. 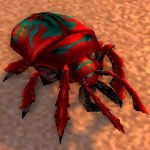 It might cause problems if you use an alternative pet whose abilites are on different slot positions, like the Zandalari pets where the abilites Hunting Party and Black Claw sometimes are on a different tier. Scripts are written for a specific strategy, but there are many common actions that can be use in many scripts. Adjust them to your needs, checking for the right conditions, and apply them when suitable. Is it possible to use TD Script WITHOUT that terrible REMATCH? Maybe No, because Rematch is not terrible at all ;-) And Yes, tdBPS should work standalone too, but far more difficult for selecting saved scripts because all is optimized for the combination of these two addons. During the script creation, where are the scripts saved to? That is, which file is modified. I've backed up my teams and thought I was also backing up my scripts. 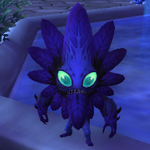 However, during the most recent WoW update, my WTF folder was corrupted and I had to restore from an earlier version I had saved to a different hard drive last month. This WTF folder had all of my saved teams and scripts but although the teams restored, the scripts did not. So, I'm look for where the scripts are stored so I can also back that file up also. Yeah.... This is far too complicated for my tiny non-tech-savvy brain. For the life of me, I can't get any of my own TD scripts to work :( I have all my steps/guides typed out in the Notes for each team, but I'm having major trouble actually creating a functional/working script. Rematch strings are copy/pasteable macros that you can import and export into and out of the addon Rematch. 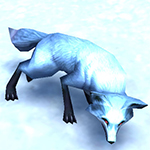 These strings import teams of pets to the given position in the in-game graphic for the selected opponent and also includes the abilities that have been chosen. TDScripts work on the same principle but with a much easier to understand code. Scripts are for the actual battles themselves. They are the code the game uses to apply the moves you select. I find it easiest to think of it as the 'TD' standing for 'Top Down', meaning the code written will read from the top line to the bottom, and as each conditional is met - i.e. ; your pet does something (or doesn't, if the command was 'standby') - the script restarts at the top. tdBattlePetScript is a plug-in for Rematch that allows specific moves to be used in a programmed format to complete battles at the repeated press of a single button (that makes it sound boring; it isn't... It's awesome...). I am definitely an amateur pet battler at best, but I'm slowly immersing myself in the loads of information and strategies. I have a question though. What is the real purpose behind the TD scripts? Why not just push the buttons and do the battles manually? I'm only asking because I honestly don't get it. Some battles are fixed. The npc will always use it's moves in a certain order each time. The scripts use the moves of a predetermined rematch team to win. You basically just press one button that selects the moves in a predetermined order that will lead to a win. 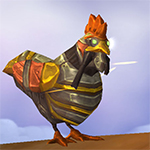 If you do the pet battle world quests you'll probably use the same team and strategy each time you face a particular trainer - as Killdozer says, most trainer NPCs use scripted strategies that become predictable. Using the Rematch add-in lets you store the team, and the TD script add-in lets you store and automate the associated strategy, rather than having to remember them every time. You can use Rematch's note feature to record your strategy for a particular team if you prefer not to automate it with a TD script. Is it possible to do something like "use(ability#1)" without defining a specific ability? It would be nice when using a leveling pet in slot 1, where you want to just have it do ANYTHING for the first turn. Currently I use "standby" to make it wait a turn, but it'd be nice to get it to use an ability instead for a little extra damage. The vast majority of my scripts have 'ability(#1)' as the last line. Without any other conditionals above it, this will make any active pet use its first ability by default. Be careful with this. 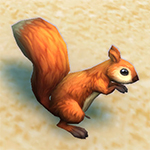 Some pets have multi-round abilities in slot 1, and this could cause them to stay in the battle for longer than you would want. 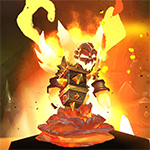 For example, if your level 10+ pet was a Mini Mindslayer with Mana Surge in slot 1, or a Globe Yeti with Rampage there, it would be stuck for three rounds. 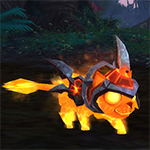 I took a closer look at this and found there are even some pets that have multi-round abilities at level 1! For example, the Pygmy Cow has stampede as its first ability, and Trashy has "family reunion" (same as stampede). No idea how many other pets, if any, are also like this. Prudentius actually first posted it but a way around this is also in a lot (if not all) of my scripts. and have the carry pet in the 2nd slot, that way its attack never gets used. There are other ways and most of them involve putting the swap commands at the start of the script. Hi, When I try to import a script into TDScripts, the Save button is disabled and I can't ever write or add a script. Has anyone else seen this? Thank you! You could try something like this. 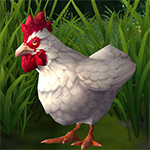 I can't find a way to test whether a pet has already been caged, in case there are two or more rare pets in the enemy team, but this should still work. The "weakener" should be in slot 1, and I've included two suggestions for "killers" for the other slots in your team. Please, please, PLEASE! Do not use the full pet name in your TD Script! This makes it incompatible when using substitution pets even if they are a carbon copy for the moveset! How do i add a TD script to a pet strategy? I saw this page today for the first time only due to the recent comment. Is it linked somewhere on the main that I'm not seeing?